We went to Ember for sister's birthday dinner. Ember is a fairly new restaurant that has enjoyed a fair amount of success, due to the fact that the food is good and the prices are reasonable. Cuisine here is neither high-brow nor quotidian, meaning while you won't find a lot of truffle-infused this and that, you're not likely to get spaghetti bolognese either. Ember is actually the official restaurant of Hotel 1929, one of the many boutique hotels that are springing up all over the place. As a result, Ember benefits from the chic, if somewhat retro decor the hotel employs. The food here won't cost you an arm and a leg, so it's very popular with the younger crowd. I hear this is the venue of choice for many hen parties. Thankfully there were none in session at the time. The problem with seeing foie gras on the menu is that then you're obliged to order it, just to see if it's any good. 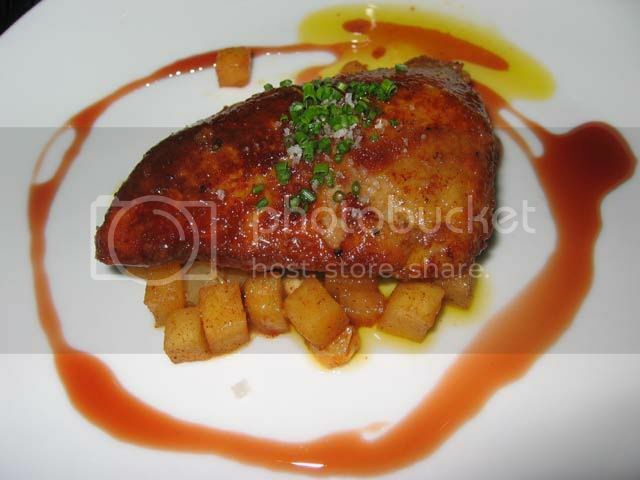 They give you a fair portion of pan-fried foie gras for $16, served along with caramelised apple and clove, sauced with a port and raspberry glaze. Some coarse sea salt has been sprinkled over the top, which marred my appreciation of it somewhat, the saltiness refusing to be banished by the tart sweetness of the apples and port. I was not really blown away by this effort (3.5/5), which is rare for me while eating liver, but for $16 it's pretty good value for money. 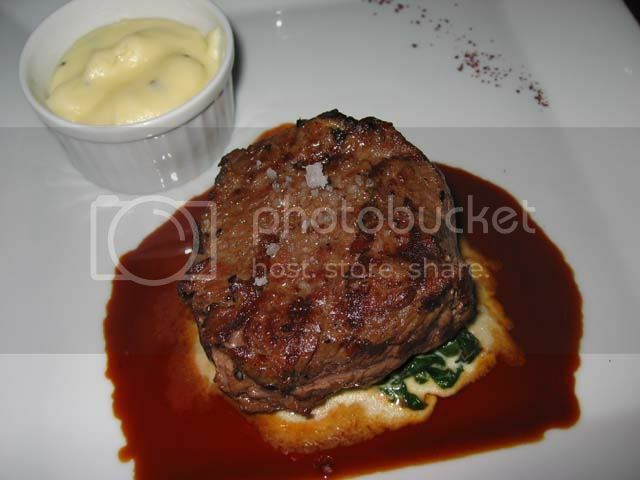 Though I was tempted to order the lamb cutlets ($30), which I remember as being very good, I decided to go with the char-grilled beef tenderloin with creamed spinach and truffle mash, in a port and madeira reduction ($34). 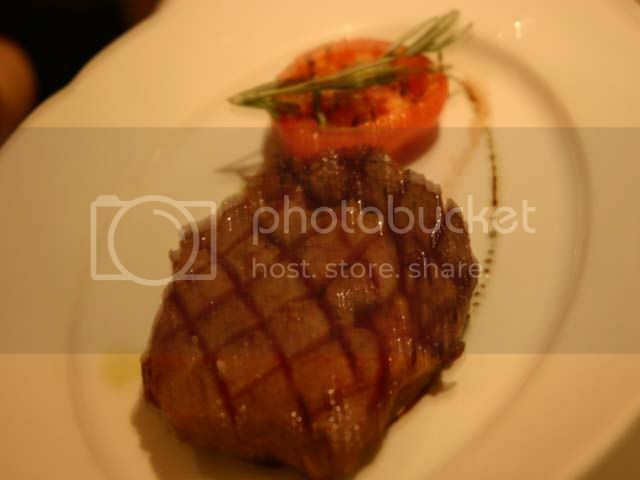 As you can see, this came with some salt too, but since salt complements meat, I had no real problems with this. The meat itself revealed just a shade of dryness, but luckily there was sufficient sauce provided to obscure this fact. The mashed potatoes too could have used a bit more texture, being rather too creamy. But still, decently appetising (4/5). I have it on good authority that the seafood Ember serves is excellent. As it was, everyone who ordered fish at the table had nothing but praise. The Chilean Sea Bass with ginger and soy broth, in particular, is supposed to be superb. A pity I'm not a fins and tails sort of person myself. One of the things, I find, at being able to cook, is that you are always compelled to order something you know you can do, just to see if the restaurant does it better. 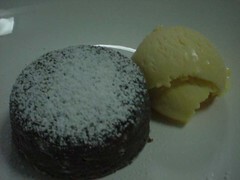 Which is why I had to order the Warm Valrhona Chocolate Cake with vanilla bean ice cream ($11). I was actually contemplating the Trio of Creme Brulee, but the one of flavours was something like black sesame, which I thought I could do without. Theirs was better (4.5/5), but it was a petite thing, and compromised by its lukewarm temperature, though that might have had something to do with my photo-taking. I hated the almond flakes their ice cream came with though, and as a dessert, it was somewhat spartan looking. 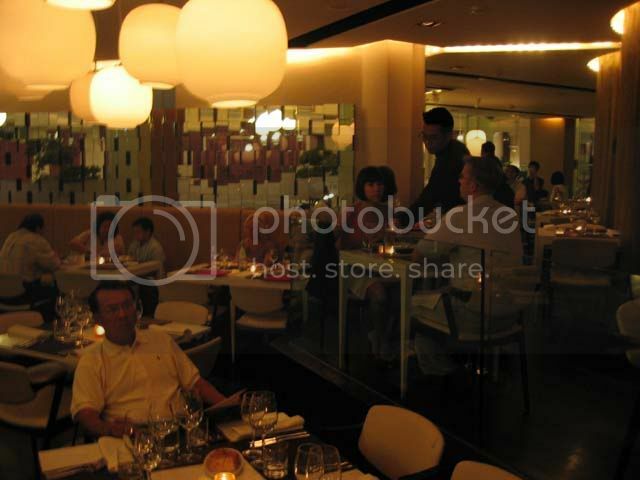 Ember is located in Kheong Saik Road, which is totally unnavigable to me without a taxi. Parking could be a problem, though with a bit of patience a surprising number of lots free themselves up. The neighbourhood leaves much to be desired though, there are a lot of dodgy looking lounges and what I suspect is a garbage dump nearby, because it certainly smelled like it. Apparently though, the restaurant is only a few minutes away from Exit H of the Outram Park MRT station. 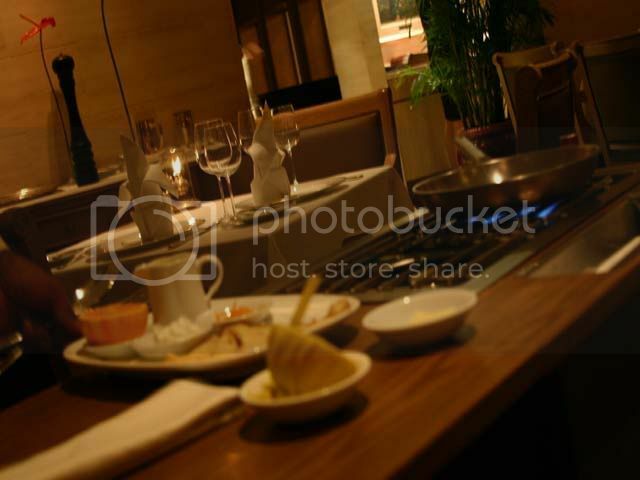 Since the restaurant is owner-run, the standard of service is scrupulously higher than most other eateries. They also get by with fewer waiters than usual, which just goes to show that the more waiters there are, the more you get ignored. The rate at which the food arrived was disappointly slow though, there were interminable lags between courses that could hardly be sustained by table talk. If I have one great failing in life, it is that I am not very good with desserts. I always leave them for my sister to take care of, because she's had tonnes more experience in home ec classes and all. I feel my great fear of desserts, especially baked ones, stems from the fact that they are perhaps the most scientific branch of cookery, and I have very little patience with weights and measures, as Wen En can probably attest. Were I at Hogwarts I would probably fail Potions. This is why I have great respect for good bakers like her. 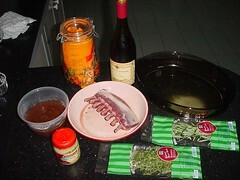 When you cook (or when I cook), there is a lot of leeway for adding or substituting ingredients. If you forgot to add something early into the cooking process, it usually doesn't matter, or you can always remedy it slightly later on. See what happens if you try that while baking. You end up with no butter in your butter cake (which Wen En now claims was supposed to be a lemon pound cake). In baking, not only do you have to be very precise, you also have to be very quick. You can't be blasé about how much to beat your eggs, and you can't afford to dwaddle while your soufflé is collapsing. The time your dessert goes into the oven is perhaps the most nerve-wracking of all - the moment of truth: did you forget anything? Will it rise correctly? Will it explode? 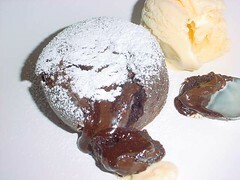 Still, there are times when you just have no choice but try your hand at baking - especially when the dessert is a yummy Molten Chocolate Cake and when the recipe is this simple. Notes on Ingredients: Measurements are weird because the original recipe serves at least 20. 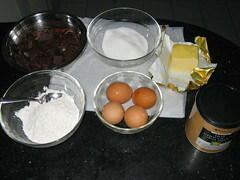 You can bump up the chocolate and butter to the nearest gramme or five grammes if it's more convenient. Use the best chocolate you can find, it really does make a difference. Anything better than 55% would be good, as the bitterness also helps offset the sweetness of the cake. I didn't have cake flour handy so I used a mixture of half plain flour and half self-raising. 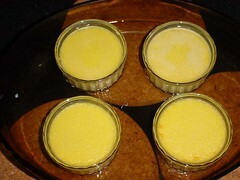 Preheat the oven to 180ºC and prepare six 3-inch ramekins. 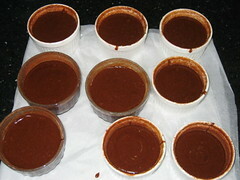 You can use souffle cups like these, or metal moulds, which are recommended as they conduct heat better. 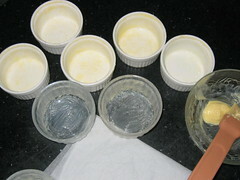 To do so, butter the insides of the ramekins liberally, then pop them in the freezer for five minutes. Apply another generous layer of butter, then dust the insides with a mixture of cocoa powder and icing sugar, knocking out the excess. This double layer of butter and dusting will help your chocolate cake unmould easily. If you can't be bothered to mix cocoa and sugar, you could conceivably just use cocoa powder, or even Milo powder. I used powdered hot chocolate with no problems. Melt the chocolate and butter in a metal bowl. The correct way to melt chocolate is to do so in a double-boiler, or in a metal bowl set over simmering water that functions as one. However, if you are supremely confident, or just very pressed for time, you can melt chocolate directly over an open fire. But please, please, for the love of God, be very careful and do not burn your chocolate. 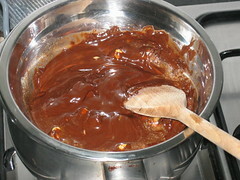 Properly melted chocolate glistens and gleams and is one of the most beautiful things you can achieve on a stovetop. Wrongly melted chocolate, on the other hand, breaks the heart. Once your chocolate is melted, remove it from the heat to let it cool. 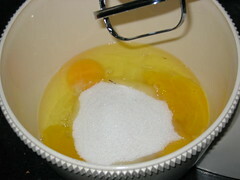 Place your eggs and sugar into the mixing bowl of an electric mixer. 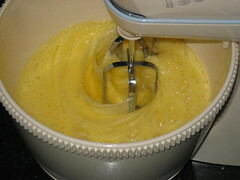 Beat, at medium-high speed, until your eggs are pale and thick, about 10 minutes. Reduce the speed, and gradually mix in the flour. Knock the bowl with a spoon to make sure no flour sticks to the sides. 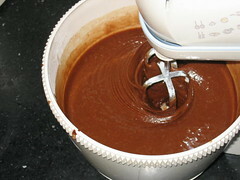 Add the chocolate mixture to the flour mixture, and continue to beat until thick and glossy, about 5 minutes. Try not to make too much of a mess as you do this. 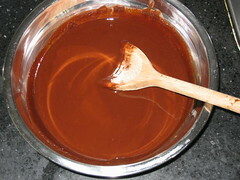 You can also just add the batter to the melted chocolate and fold the two together, but doing it this way is less work. Spoon the batter into your prepared ramekins, filling the ramekins only about 2/3 or 3/4, leaving room for the cake to rise. At this point, just cling-wrap them and chuck them in the freezer, where they can wait for practically ages before you decide to serve them. There is absolutely no necessity for you to tear yourself away from the dinner guests just to prepare dessert. Simply remove them from the chiller, and pop them into the oven, without the cling-wrap, naturally. You can also do this last-minute and bake them in the preheated oven; there's a five minute difference in baking time. Now for the moment of truth. Bake them in your oven until the cake is set around the edges and the top is dry, but the centre jiggles slightly when the cup is moved, about 15 - 16 minutes, depending on whether your batter was frozen solid and how big your mould is. If you're baking them in bulk (5 - 10), this will cause your oven temperature to fall quite substantially, which means the cakes could take something like 30 minutes to bake. Metal moulds require less baking time, so this is something that requires some amount of judgement. 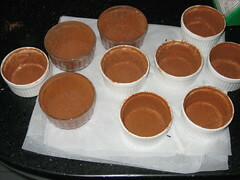 Remove them from the oven and turn the moulds onto prepared dessert plates. 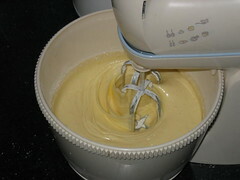 The cakes should unmould easily, allowing you to check if, for any reason, they are still too wet. Dust some icing sugar over them and serve with a scoop of vanilla ice cream and some fresh berries, if you have them. The centre of the cakes should be deliciously runny and hot as you spoon into it, and you can congratulate yourself on an impressive dessert which practically came out of the freezer. Roast Rack of Lamb, or Carré d’Agneau au Moutarde is a French favourite that is served in fancy restaurants all around the world. 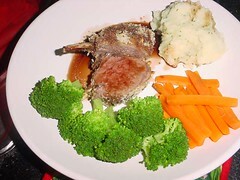 It is not all that difficult to prepare in the home kitchen, but unfortunately, because lamb is not a very popular meat in Singapore, it's hard to find good racks of lamb. Cold Storage sells them, but they are very tough and gritty. A better option is one of the many retail butchers that are springing up, like The Swiss Butchery, Huber's, Meat The Butcher, The Butcher etc If you find a good source, stick to it. The lamb rack has to be Frenched. What does that mean? It means the excess fat has been trimmed and the bones have been scraped down to expose the ribs. Seriously. Thankfully, the author of a cookbook I read had a much better definition. "Frenched" basically means "get your butcher to do it". Life is far too short to be worrying about things like that. Certain dishes are simply classics, and you will know this because all the recipes are more or less the same. Roast rack of lamb is one of them, as you will see here and here. 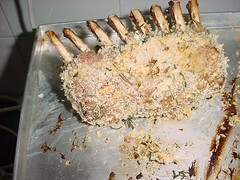 Essential ingredients are Dijon mustard, breadcrumbs, rosemary, thyme and of course, lamb. This particular recipe is courtesy of Anthony Bourdain, from his Les Halles Cookbook, with a few modifications. Feel free to use more thyme, rosemary, mustard and breadcrumbs if you need to. More in this case is better. First, your mise en place. I was only cooking for 3, and since my mother and sister have small appetites, I only needed one rack. On average, most people eat about 3 or 4 cutlets each though. Bring your wine, stock, garlic and bouquet garni to boil in a small saucepan, then lower to a simmer. Simmer till the sauce is reduced by half. 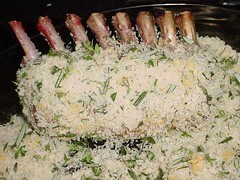 Mix your rosemary, thyme and breadcrumbs in a dish wide enough to hold your lamb rack(s). You can add some chopped garlic to the breadcrumbs as well, or anything that catches your fancy. Not something stupid like soy sauce though. Brown your lamb on all sides to get the flavours going, and caramelise the natural sugars in the lamb and to help the breadcrumbs adhere to the oily surface. No wait, oil reduces friction. Whatever. Once that's done, transfer your lamb to a baking tray. 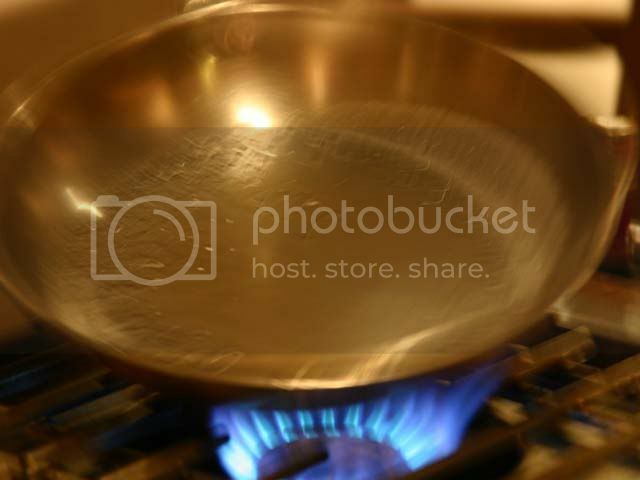 Discard the oil from your pan, and pour in some of the simmering sauce to deglaze the pan. 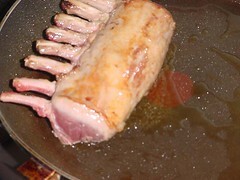 Pour the deglazing liquid back into the rest of the sauce to impart a full-bodied lamb flavour to your sauce. The sauce, incidentally, should be almost half-reduced by this time, so make sure you remember to turn off the heat. Turn your attention back to the lamb and slather on the mustard. Use a mild Dijon so you won't have to worry about overpowering your lamb. Try and cover everything to help the breadcrumbs stick. 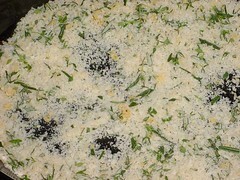 Coat your lamb with the herb-breadcrumb mixture, packing the crumbs as tightly as possible onto the surface of the lamb. The tricky buggers have a habit of falling off after they're roasted, so try and pack in as much as possible. If you're using two racks, after you've coated them both with crumbs, place them on the baking tray, skin sides up, bones interlocking to aid heat circulation. Pop your lamb(s) into a preheated 200C oven for 20 minutes for medium, give or take a minute or two. If you want it well done or rare, you're crazy, so figure the timing out for yourself. If you have a meat thermometer, by all means use it. After 20 minutes, remove your lamb from the oven and let it rest for 5 minutes. This helps to redistribute the juices and prevents excessive moisture loss when you carve the lmb. Not too long though, or your lamb will get cold. 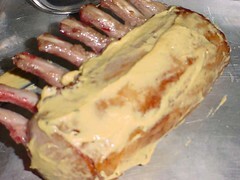 You can then proceed to cut the rack into cutlets with a sharp knife, divide it onto plates and spoon the sauce over. Serve with assorted vegetables and/or mashed potatoes if so inclined. Sleepy now, look for updates over the weekend. BROTH stands for Bar Restaurant On The Hill - it's nice to know that slight pretentions still exist in this country. It's a renovated shophouse atop Duxton Hill, and one of the increasing number of Australian restaurants. Personally, I don't care much for Australian food, but it was to be a family dinner, and sister chose the venue. 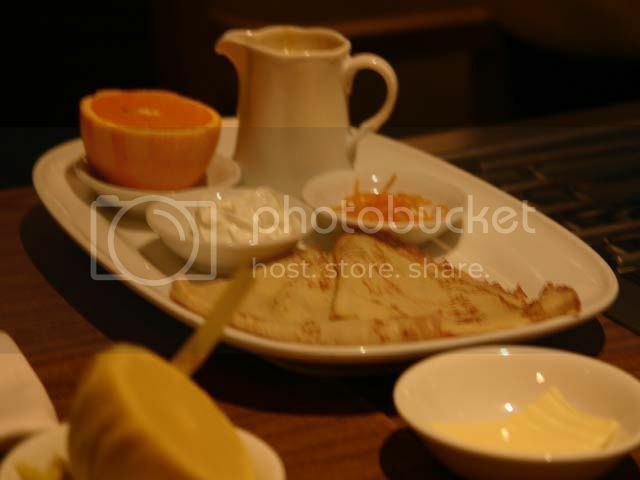 Some restaurants impress you immediately, either with their appearance or with their service. Unfortunately, Broth was not one of these restaurants. The ambience here is decidedly backwater, with tables set up rather haphazardly, even spilling out onto the street facing the restaurant. The interior of the eatery itself is quite tight, perhaps a remnant of its shophouse architecture. The service was equally awkward, with the waiters not doing much to put us at ease. Broth was offering a special menu that week - a Margaret River menu that was to be exclusively Australian and featured rather more exotic fare such as kangaroo, rabbit and quail. Under normal circumstances I would have been delighted by the prospect of trying new meats, but some of the methods employed in actually cooking the damned things seemed very dubious (quail pie?) That being said, the following review is probably not representative of the food there in general. For starters, I had a rabbit rillette with camalised prunes and pickles ($17.90). Somewhat like a pate, but shredded to give it more texture. I was not really blown away by this attempt (3.5/5), and only ordered it because everything else seemed even less palatable. Being the sort of person who needs to have meat on a fairly regular basis, I decided to try the kangaroo fillet with cabernet chutney and caramelised sweet potato ($29.90). This combination I found rather questionable - the bland sweet potato did no justice to the kangaroo meat, and I can't fathom the appeal of chutney. Again, I was less than impressed (3/5). I find that Australian cuisine, being fairly new on the food scene, tries to compensate by being bold and exciting in its fusion approach to food. I suppose that could be partly attributed to Australia's multi-culturalism as well, but whatever the reason, I am, unfortunately, a bit of a purist, and have yet to come across fusion cuisine that I could appreciate wholeheartedly. 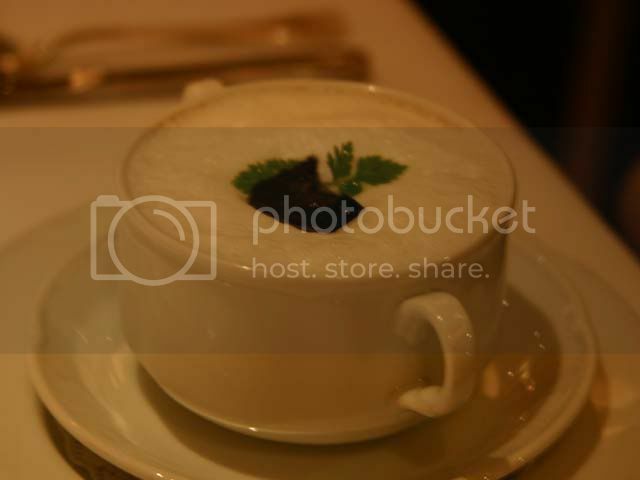 For dessert, I decided to be adventurous and try the Cabernet Merlot jelly with creme fraiche ($12.90). This proved to be most unwise, because the sour creme fraiche only over-emphasised the already astringent Merlot jelly (2/5). Although it is true that the food came from the limited period Margaret River menu, it nonetheless did not entice me back - certainly not at those prices, at any rate. I have been on a quest to look for an eatery, any eatery, that serves the best scones in Singapore. I have also been on a lookout for the best chocolate milkshake, but that's a separate story. One would imagine that freshly baked scones are not that hard to find. Unfortunately, one would imagine wrong. Every time I have tea with someone, I order the scones, hoping against hope that that will be the magical place which serves wonderful scones. It reminds me of Charlie, fervently wishing that the next chocolate bar he unwraps will have a golden ticket hidden underneath, except that unlike Charlie, I am always disappointed. My latest foray was to Cafe Rosso, this Japanese cafe in Holland Village that was featured in a Today article that recommended places to go for tea. The article had also recommended Fosters in Holland Village, which has most definitely seen better days, so if it's scones you're looking for, Fosters is not the place to go. 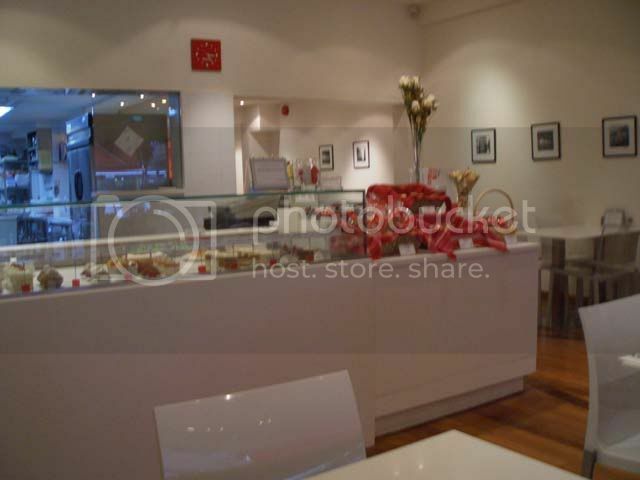 Still, I had relatively high hopes for Cafe Rosso, mainly because the cakes looked very yummy in a post I had seen. Cafe Rosso doesn't look much like a cafe; in fact, it looks a bit like an operating theatre. The walls, ceiling, floor, chairs and tables are all white. Everything looks very clean, and some chairs are even transparent, which may cause you to fall if you look at it while trying to sit in it. It's not too Japanese - with the exception of a few kitsch, plasticky waving cats sitting above the counter. The problem though, is that Cafe Rosso's service is bad. Real bad. They brought us water and all, but made no attempte to approach our table. We'd been there a good fifteen minutes and it was as if we had the plague or something - all the waiters and waitresses were hiding in the kitchen. Natalie finally caught the eye of one of the waitresses, and we managed to place our orders. She had a fruit bowl with yoghurt, and even though I was still very full from lunch, I made a valiant effort to order the scone set. 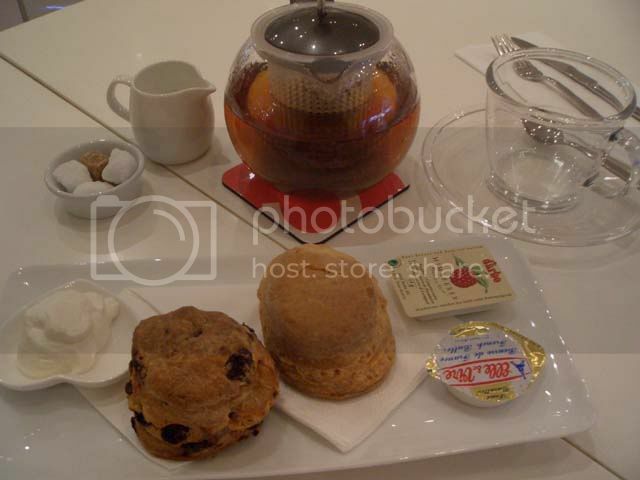 The scone set is actually pretty cheap, for $6.00 they give you two scones and a big pot of tea. The scones come with whipped cream, butter and some confiture. Unfortunately, in addition to being pretty cheap, they were also pretty bad. I hadn't noticed that all the scones come from this basket at the counter, which means that they've all been pre-baked and left out to harden. Which they did; both my scones were like rocks, and dry to the point of flakiness. Admittedly, the teapot and teacup were quite cool, totally transparent, but I wanted good scones, not a glass factory. I should have known though, that to expect a Japanese cafe to make good scones is like asking a tortoise to climb a tree. I should have gone for the cakes instead - they looked pretty tantalising, and more importantly, I did not mistake them for rocks. I was disappointed, of course, at having my latest attempt to find good scones end in ignominy. I was also rather embarassed that Natalie was subjected to such questionable fare, since it had been my suggestion to begin with. I'm confident, though, that the company more than made up for the tea. I'll make it up to you next time, cross my heart. Cafe Rosso serves breakfast, lunch and tea, and is tucked away in the quiet corner of Holland Village, away from the hustle and bustle. However, this also makes it rather inaccessible without a car. I am a great fan of food that looks utterly pretentious but is actually laughably easy to create. Crème Brûlée is one these ridiculously simple desserts you can prepare the night before but always thrills your guests because they think you've pulled it out of thin air. The only thing that makes it moderately challenging, as is the case whenever you're heating egg yolks, is to keep the eggs from scrambling. However, with some attention, I see no reason why this should present any difficulty. Apparently, according to Julia Child, bless her soul, France, Britain and Spain all lay claim to inventing this dessert, but as she also provides an extremely questionable recipe for it, I'm sure she'll forgive me if I don't take her word for it. If you look for a creme brulee (it's too pretentious to keep including the accents - my food is only slightly so) recipe on the internet or in cookbooks, you'll often find some rubbish like lavender creme brulee, or coconut-infused creme brulee. Creme Brulee is one of those triumphs of traditional cuisine that people shouldn't muck around with. Give me vanilla or give me death. This recipe is very similar to the ones Debbie Puente (apparently the queen of creme brulee) and Michael Chu provide, with a few slight modifications to suit my delicate Asian palate. I find that 8 egg yolks sometimes imparts a very eggy smell, and makes the creme rather too yellow. You could use 6, if you're very cholestrol conscious, but I find 7 is a good balance. Most recipes call for about 8 yolks to 2 cups (500ml) of cream, so be wary of any recipe that strays too far from that benchmark. 2 cups of cream is usually too rich even for me, so I usually use 200ml of cream and 200ml of milk. For a slightly richer option go with 250ml cream and 200ml milk. Experiment and find a ratio that suits your tastes and health regime. This serves about 4 people, or 6, if you use smaller containers. 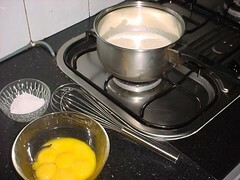 There's your meez, but I forgot to include a sieve and a whisk, both of which are instrumental to a good creme brulee. 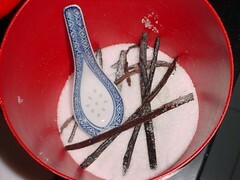 The first thing to do is to remove the seeds from your vanilla pods and add them to half of your sugar. To do that, you cut off the ends of your pods and split them lengthwise, then scrape out all the seeds. 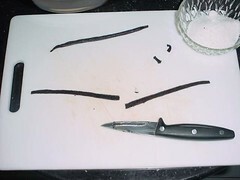 Try not to waste a single seed, because vanilla pods are hard to come by. Naturally you don't throw your pods away - use them to dramatically enhance the flavour of your sugar. A trick from Jamie Oliver. Once you've done that, heat your cream (or cream and milk, or half and half) and vanilla sugar over very low heat and have your egg yolks and remaining sugar handy. On no account let your cream come to a boil! While your cream is heating gently, whisk your sugar and eggs until the mixture is pale yellow and, according to Julia Child, bless her soul, "forms the ribbon". Since I still have no idea what she means by this esoteric phrase, I shall settle for a pale yellow mixture, ribbon or otherwise. 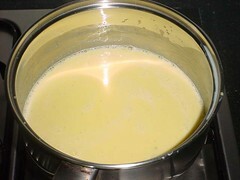 By this time your cream should be close to, but not, boiling. 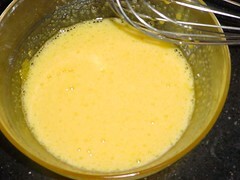 Remove it from the heat and pour some hot cream into your egg yolk mixture, whisking it in. This is known as tempering your egg yolks, or bringing it up to the temperature of your cream, so that the eggs don't scramble when you pour them in. This is always necessary when you're trying to thicken something with egg yolks. I've never actually tried pouring the yolks into the hot cream without first tempering them, but if anyone would like to try, I am most interested in the results. 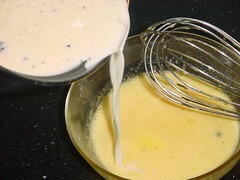 Pour the egg mixture back into the cream and return it to the heat, as you continue whisking. 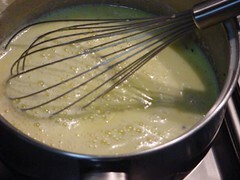 The mixture should start to thicken after a minute or two. 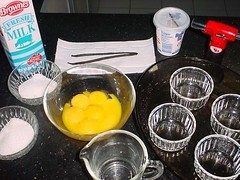 Its thickness depends, of course, on how many yolks and how much milk you've decided to use. Allow me to reiterate, do not let it boil! 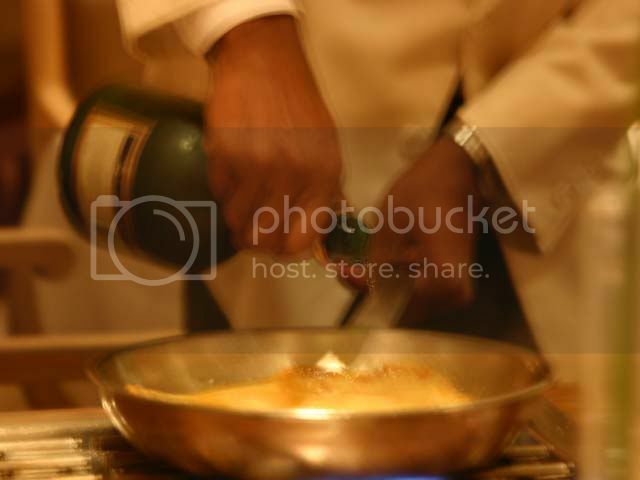 Once the custard has thickend, remove it from the flame. It should now be very pale yellow, almost off-white. 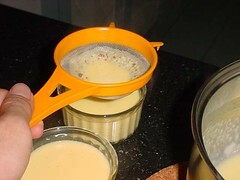 At this point you'll want to strain your custard into individual ramekins, which drastically improves the consistency of your creme brulee, as many of the vanilla seeds will have congealed. 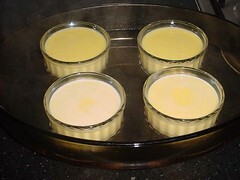 Place your ramekins in a bain-marie (water bath), with water reaching up to 1/3 the sides of the ramekins. Most recipes specify halfway up the sides, but I find that this inhibits the setting of the creme brulee. Use whatever works for you. Don't worry if the first two are paler yellow than the others - once the top has been caramelised, no one can tell. Bake, in a preheated 160-170C oven, for about 40-50 minutes. There seems to be some leeway with the amount of time it takes for the creme brulee to set; durations range from 30 minutes to an hour. 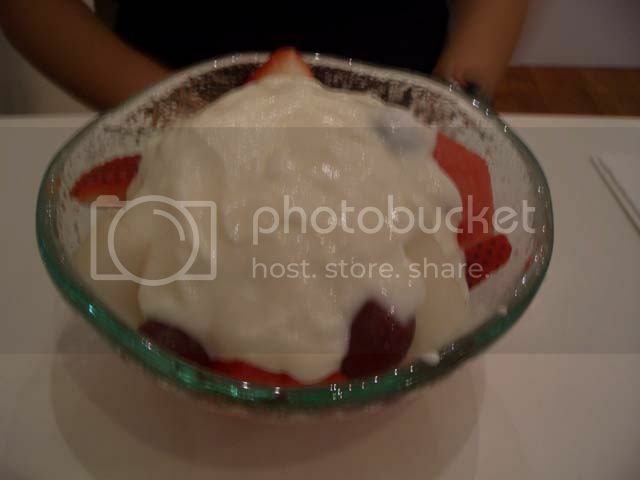 You're aiming, ideally, for almost the whole creme to set, but the centre should remain jiggly. However, since this world is not perfect, as long as your creme has set (probably within the 30-40 minute timeframe), you should be okay. 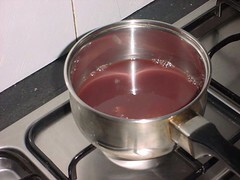 Remove your water bath from the oven and allow the creme to cool down in the water bath. Once they have reached room temperature, remove the ramekins from the water bath, dry them, cover them and pop them in the fridge. 10 minutes before they are to be served, remove them from the fridge, dust a layer of brown sugar over each one (about 1 tsp each). Using a blowtorch (which you can obtain at any DIY shop), blast the hell out of the brown sugar, until it bubbles and caramelises, but does not turn black. Chill for a few minutes before serving. After hearing about it for aeons, I finally got the chance to try out the Marmalade Pantry. Had brunch there today with May, whose thighs, I was glad to see, did not appear any chunkier than usual. The Marmalade Pantry is one of those chic but casual eating holes, rather like Corduroy and Fich but without the deli portion. It fills up incredibly quickly, so if you're looking to go there for lunch, it's probably a good idea to make a reservation. Almost all the tables were completely filled within forty-five minutes of them opening, and with reason too, because the food is very good. 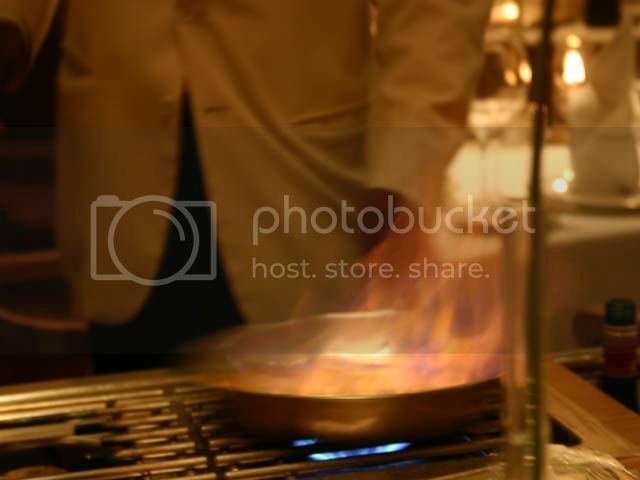 The only problem though, is that the waiters' uniforms are really tacky. They wear plain white t-shirts that are very crumpled and look like they've been slept in repeatedly. There is a not-so-fine line between casual and pyjamas. Prices are nothing to joke about, and as they don't have a separate lunch menu, like The Canteen, it might be more worthwhile to come for dinner instead. That being said though, the portions are quite huge. Looking at the salad and bread board the table next to us ordered, I felt positively bulemic. 'Course, this was after I had finished my own rather large meal, but at least you're getting more than enough food for the price you're paying. May ordered an affogato, which was a coffee/vanilla ice cream drink, and I had my usual iced chocolate ($7), which would probably have been better if they had made a shake. As it was, the vanilla ice cream, chocolate sauce and chocolate milk weren't well mixed, and the whole drink turned out rather sweet (3/5). While it did come in a very big metal cup, $7 was still a considerable amount to pay. 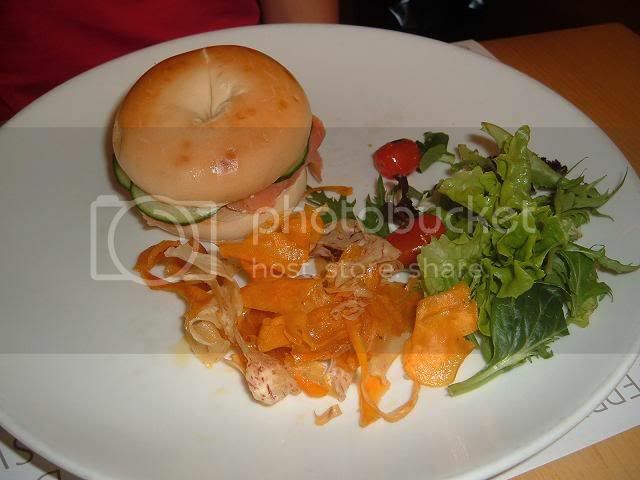 May had an interesting-looking salmon bagel that came with "wasabi creme fraiche". I still have no idea what that is. I was torn between the burger and the kids' banana pancake meal, but in the end, with a pretentious name like The Ultimate Beef Buger, there really was no competition. At $19, it's about the same price as the one in Corduroy and Finch, but this one is loads better (4.5/5). The patty was very meaty and juicy, aided in part by the liberal topping of roasted cherry tomatoes. 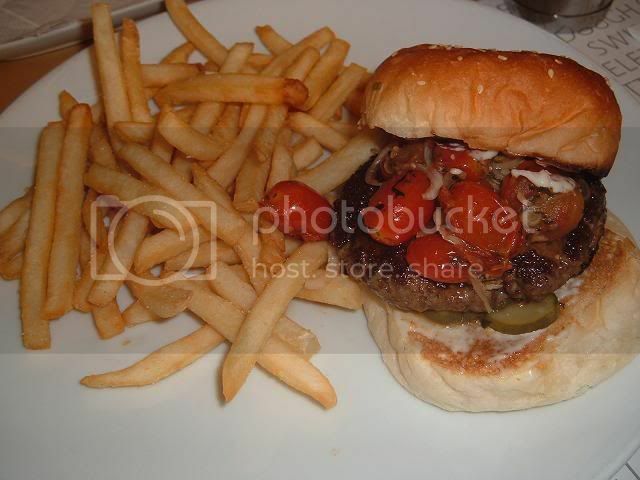 The burger itself was quite large, and it came with a huge quantity of fries. Only complaints: no salad, and gherkins! I hate gherkins. They are like evil cucumbers. After the meal I was completely stuffed. Couldn't even try any of their famous desserts. Very convenient location in Palais Renaissance, allowing you to stroll over to Borders or Lido after your meal. 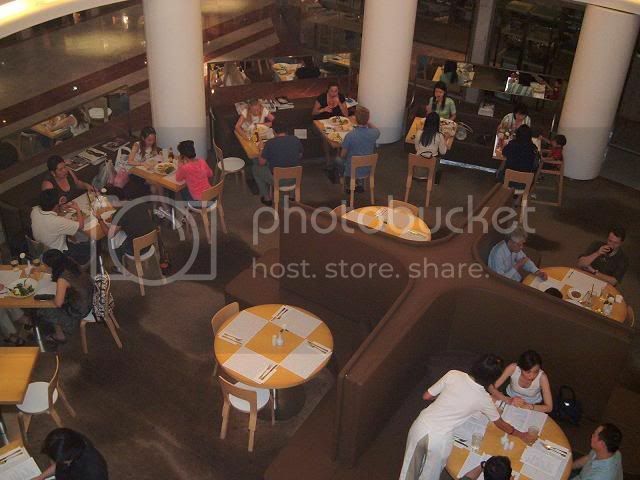 In terms of ambience, the Marmalade Pantry has a nice circular dining area, which channels lots of good feng shui around. The running water nearby doesn't hurt, either. Now if they could just get rid of those dreadful uniforms. Service is nothing to crow about, but it isn't as dreadful as their uniforms. Sorry, just can't get over that one. Overall: Come for dinner, and bring a large appetite. This time I ordered the Grilled Chicken and Bacon Club ($17), which, again, came in a huge portion. This confirmed my impression that you should either come here for dinner, or only for dessert. 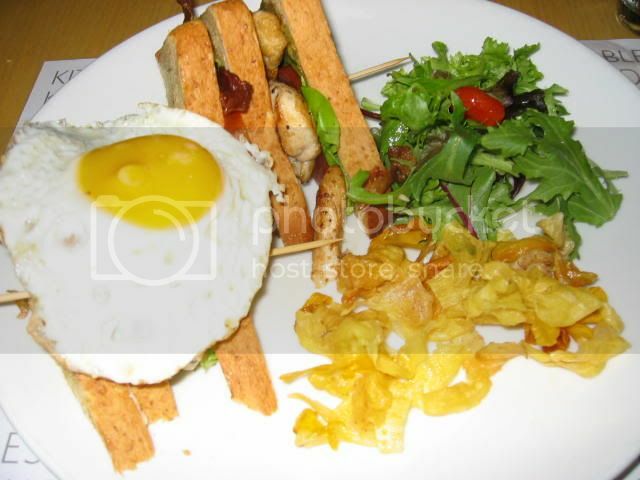 While the club sandwich wasn't bad, it wasn't fantastic either (3.5/5), so really it was merely postponing dessert. The service seemed to have improved somewhat, but perhaps I may have been biased due to the pretty waitress. 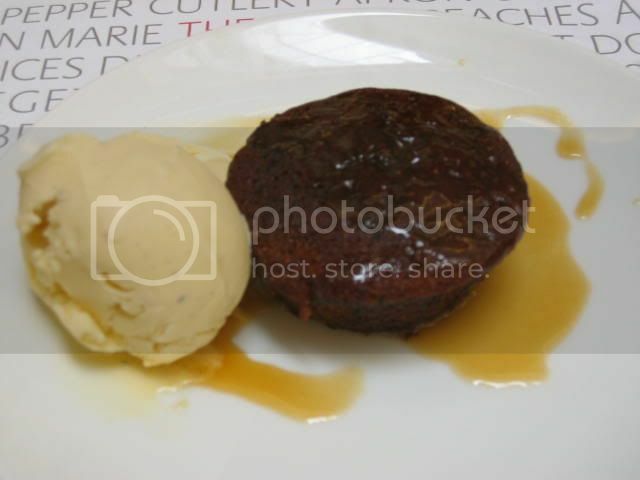 After having heard so many good things about it, the Sticky Toffee Date Pudding ($10) finally appeared before me. 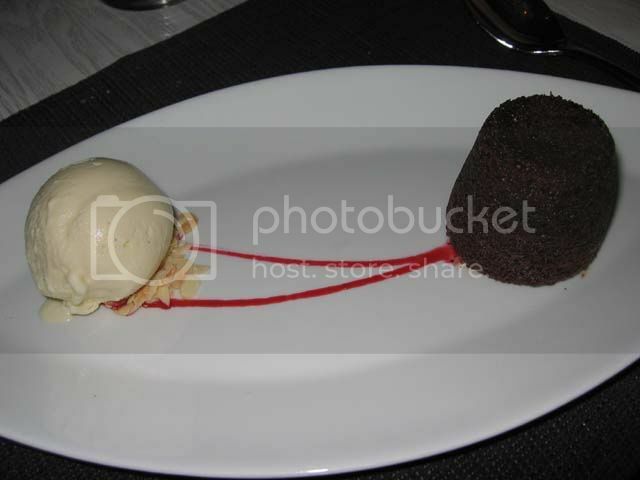 It was a departure from my usual chocolate dessert, but I was pleased I ordered it (4.5/5). The pudding looks innocuous enough on the outside, but inside it's stuffed with (what else) sticky date toffee. While it was a little on the sweet side, the flavours were mild and went extremely well with the vanilla bean ice cream it was served with. Very very yummy. Although my inner chocolaholic would like to lynch me for saying this, occasionally chocolate isn't always the best thing to order. 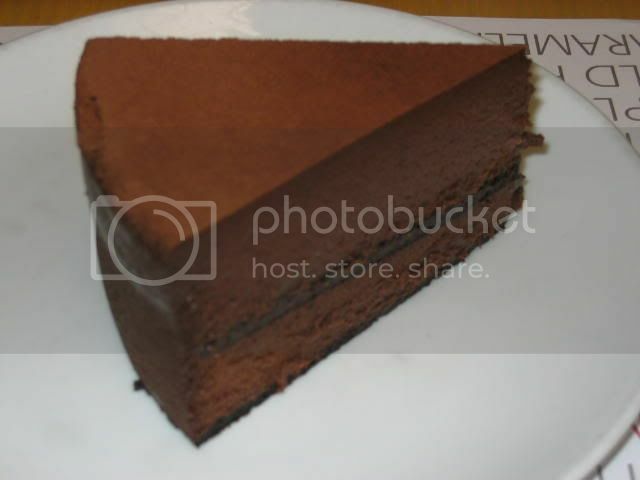 Michele had a chocolate truffle cake, which was the pastry equivalent of a brick of foie gras. Much too rich and heavy, it was about three times too large to be palatable. Even I couldn't help finish this monster. If you're wondering why I haven't been updating, it's not for want of material. It's because my ruddy camera is still being repaired, and I am loth to post my previous reviews without accompanying photos. Thanks to my malfunctioned camera, this post will have no photos. Dad decided to have lunch with me on my day off, which we had at the Da Paolo in Holland Village, one of the many eateries that have taken root in the area. We were originally intending to dine at Au Petit Salut next door, but apparently Da Paolo trains its staff well enough for one of the waitresses to ask if we'd like to try their set lunch. For $22, the set lunch covers a starter, a pasta, dessert and coffee; but it goes up to $27 if you choose to have meat or fish as the main course. The lunch menu is severely limited compared to the dinner menu, only four or five choices for starters and pasta. For meat and dessert it's even worse: a choice between two 'meats of the day' and 'dessert of the day' or ice cream. Petit Salut, according to my father who had walked over to see what we were missing, offered six dishes for each course at $22. Limited variety wouldn't have been too bad if the dishes to choose from were very good, but unfortunately they weren't. It looked as if they had cobbled together the least popular dishes as well as the ones that wouldn't stay fresh and tried to palm it off as set lunch. I had no real inclination to try any of their pastas, and had great difficulty mulling over my starters as well. Eventually, I ordered the prosciutto and mozzarella starter, and received a big surprise when it arrived. Sitting on my plate, beaming at me cheerfully, was a starter of prosciutto ham, rock melon, kiwi and no mozzarella. 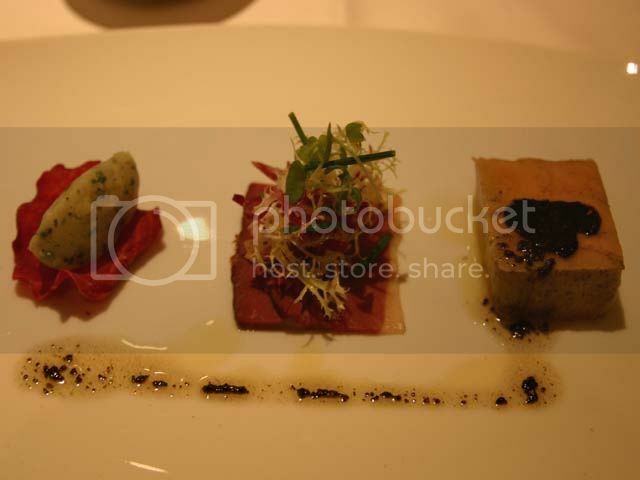 I was quite happy to have this instead, I quite like this starter, even though the kiwi was a most unwelcome touch. However, I was most displeased that the chef had taken the liberty of changing my order without even informing me. Changing the order's bad enough, but without the customer being informed or asked is a sure way of losing customers. To be fair, it wasn't bad (3.5/5), but the kiwis ruined it for me. My next dish was, I forget what it was called, was a fettucine served with a tomato-based sauce and some pork. It seemed the most palatable among all the pasta choices. Palatable, but not particularly memorable, I'm afraid (3/5). Dessert arrived, and they surprised me again by changing the order, and again without notice! My father's raspberry cheesecake had magically transformed into a raspberry chocolate mousse. Unfortunately for them, my father is a little less tolerant than I am, and rather sourly inquired how this bit of alchemy took place. 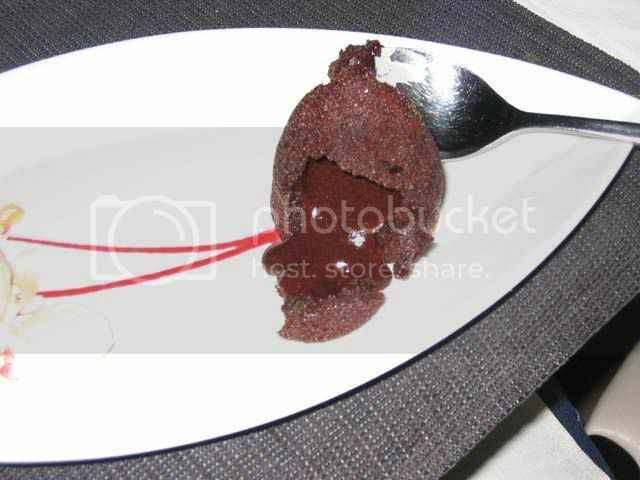 The waiters, who had the good sense to appear abashed, explained that the chef had changed the dessert, but without providing any reason for it. 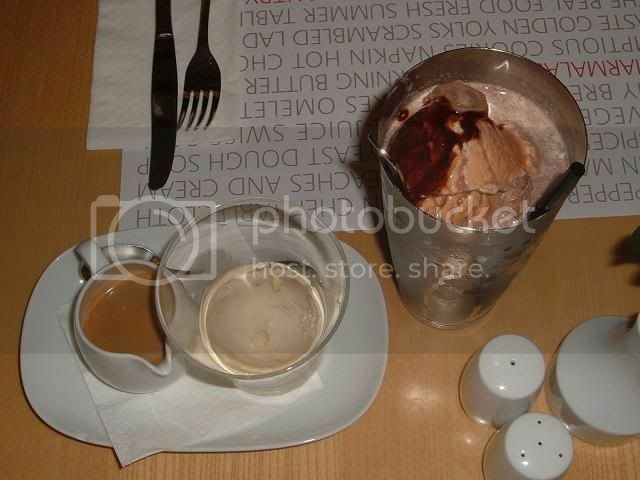 My father decided to change his order, and we both had the ice cream, which was, after all, just ice cream (3.5/5). Although it is situated in Holland Village, Da Paolo is actually moderately inaccessibly without a car or taxi, as it's quite far in. If you are driving, locating a car park can be a rather frustrating task as they're currently renovating Holland Village in order to make way for the new MRT line, and parking lots are severely limited. Located in otherwise-quiet Jalan Merah Saga, Da Paolo enjoys and contributes to the convivial atmosphere created by the whole row of eateries in the vicinity. Agglomeration, I think it's called. Of course, this only applies if you go there for dinner. During lunch, it's so quiet you can hear the bread rise. The interior of Da Paolo is uncomfortably warm due to their inadequte air-conditioning, but al fresco dining is probably out of the question altogether. The service, as you have probably gathered by now, is not exactly fantastic. Any restaurant that repeatedly changes its customers' orders without so much as a by-your-leave is clearly asking for trouble. Extremely surprising, considering how well-established Da Paolo is. Next time, I'll be going to Au Petit Salut. There was an article in BT on Saturday about how Singaporeans should try to get away from what Andrew Tjioe of Tung Lok (in a truly inspiring turn of phrase) described as a "nasty discount culture", in order to promote Singapore as a world-class epicurean centre. 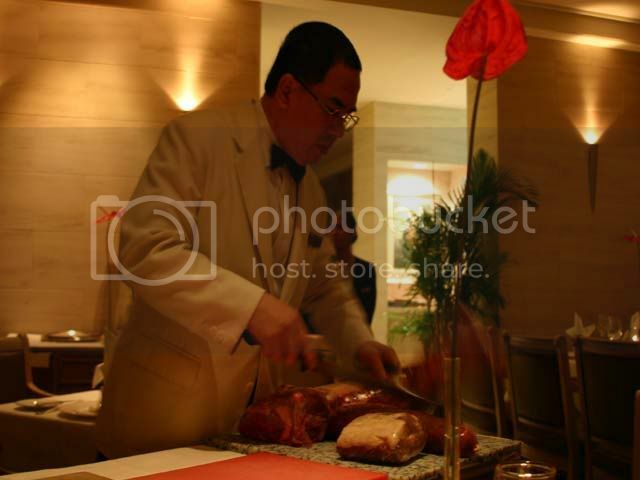 Christophe Mengel of the Ritz Carlton contributed, "People are still not used to expensive food, the wine, the whole ambience. They need to understand the difference, that it's not about the taste, it's about the whole dining experience." Be that as it may, it's a lot easier for them, as chefs and culinary executives, to talk about a discount culture hampering the growth of Singapore's food industry. After all, they're not the ones forking out hundreds of dollars for a sit-down dinner. It's nice to have ambience and all, but atmosphere isn't edible. However, I feel that, once in a while, when you come across a really good restaurant, which gives you the whole package, paying that extra premium for "the whole dining experience" is well worth it. The trouble, of course, is that there are very few restaurants that can deliver; and everytime you're forced to pay exorbitant rates for substandard food and service, it's perfectly understandable that you'd lament not having gone to the hawker centre for a $2 bowl of noodles. Once in a while, though, you come across that rarity of rarities, the restaurant worth paying for. The Gordon Grill, at Goodwood Park hotel, is one of those restaurants. Apparently the Grill has been around since the British, and some of the waiters looked like they started their careers serving clam chowder to old colonialists in safari outfits. It's been revamped though, and while there is still a certain amount of old world charm, their food has been updated to include the modern fascination with elegant presentations and little tantalisers. The first thing you notice when you walk in is the service. Only in the very established eateries do you still find this level of crisp attention to detail. Dressed immaculately in white jackets, the waiters were oldish, but much more attentive than the young upstarts you tend to see now. 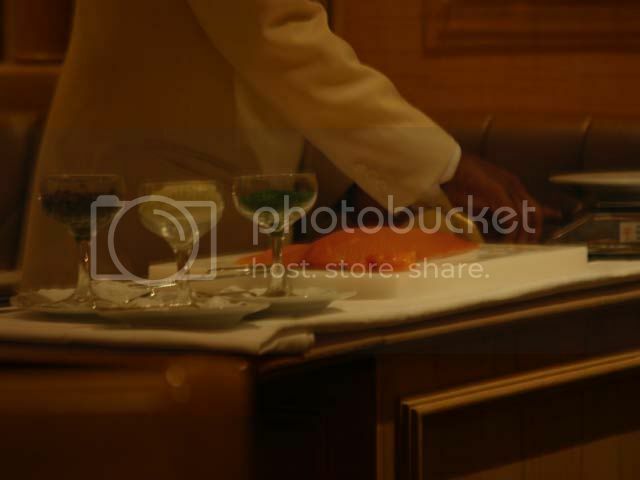 Your chair is held and pushed in for you, your napkin unfolded into your lap, polite inquiries are made as to your drinks, a menu is produced without delay and you are respectfully asked, at intervals, if you've enjoyed what you've just eaten. You can be sure they won't be mixing up your orders or interrupting your conversation. Waiters so regularly know nothing about the food they bring you, that it was a pleasant surprise to be served by old hands who probably knew more about the wine than all the customers put together. Admittedly, the stiff upper lip sort of service, professional as it was, felt a little anachronistic, and you sometimes got the feeling the waiters were looking down their noses at some of our more questionable behaviour (like taking photos of the food); a far cry from the well-heeled British patrons that they probably remember fondly. Still, service this incomparable should not be under-appreciated. The decor looks redone, but quite tastefully so. 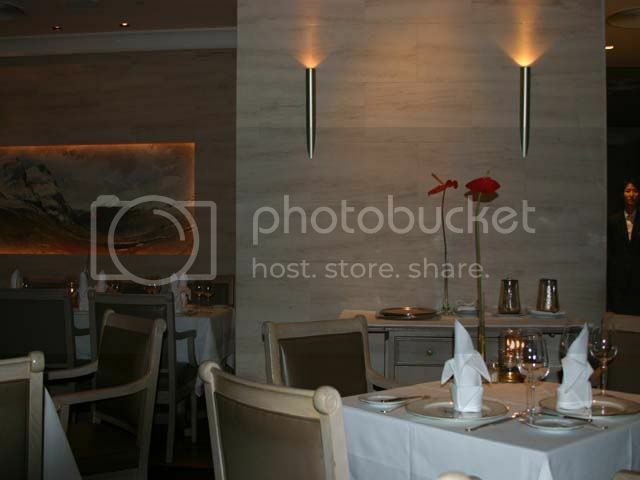 The lighting is muted and the artwork subtle, and there are no garish colours nor piped music to detract from your dining pleasure. 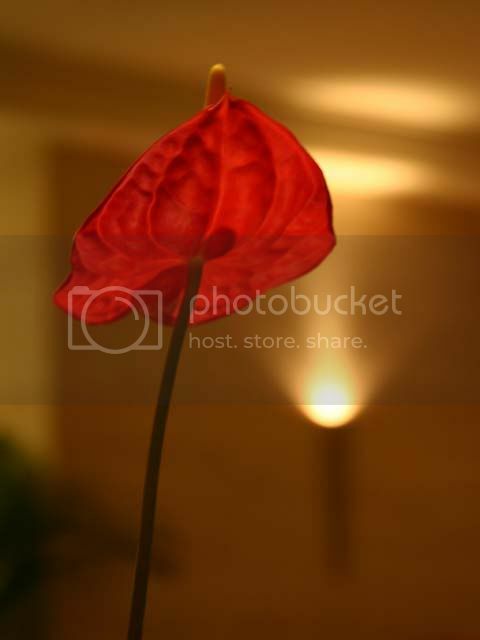 Even the mandatory flower decorations opted for a spartan approach, making it even more dramatic. I have a theory that you can tell a lot about the restaurant by the bread they give you. No restaurant ever got famous off Delifrance bread. Thankfully, the bread from Gordon Grill was very nice, even if it wasn't white bread. I was expecting their food to be quite traditional; cream and mushrooms all the way, but was pleased to find that they even served a complimentary amuse-bouche. 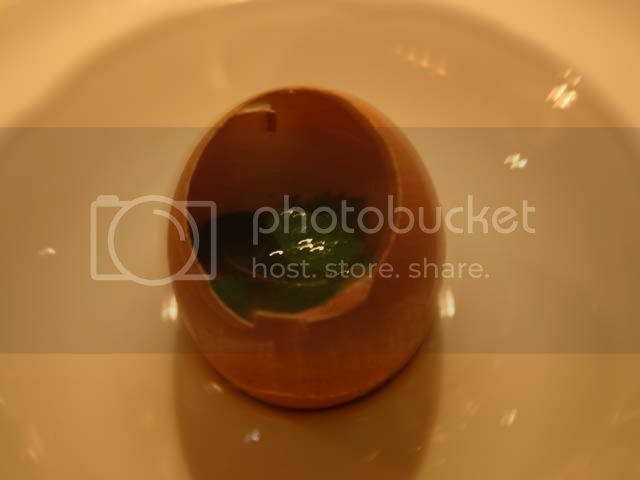 It was an asparagus and truffle custard served in chilled egg shells. Quite artfully done - just large enough to whet the appetite and bland enough to titillate the taste buds. The downside, of course, is the extra cost involved. Normally I'd balk at a $14 mushroom soup, but I was very glad I ordered this one. It was far and away one of the best mushroom soups I've had (5/5). They give you a generous amount too, so you don't feel shortchanged. The soup was bursting with the flavour of mushrooms; even the foam on top tasted like mushrooms. I suspect this was partly due to the generous helping of truffle oil, but the soup itself seemed composed of extremely earthy, wild mushrooms that I've not come across before. Sister felt in an indulgent mood, so she decided to have the terrine of foie gras, which came rather elegantly presented on a clean white dish. Told you they'd updated their food. Normally $28 is a hefty price to pay for even the pan-fried variety of foie gras, let alone the terrine version. Though I don't much care for terrines, this one was quite good (4.5/5), very smooth texture that melts away as it slips down your throat, unlike many of the denser, firmer terrines you sometimes encounter. Still quite pricey, but they do give you a sizeable portion. Of course, the main reason to go to Gordon Grill is, obviously, to have food from the grill. Like the other steakhouses, the Grill wheels out whole slabs of meat and cuts them in front of you to your desired weight and thickness. They even wheeled out a whole smoked salmon to fillet in front of the lady who ordered it. I have never seen a whole salmon being brought out to fillet. It was most impressive. But back to the grill. Sister felt like having steak, but not a big piece (why have steak if you can't have lots of it?). The steaks cost $2.40 per 10g, so expect to pay upwards of $50 for a big steak, but she only wanted a smallish one, about 150g. I decided to have the grilled lamb cutlets ($44) and chose a bearnaise sauce to go with it, because I wanted to see how a proper bearnaise was supposed to look. 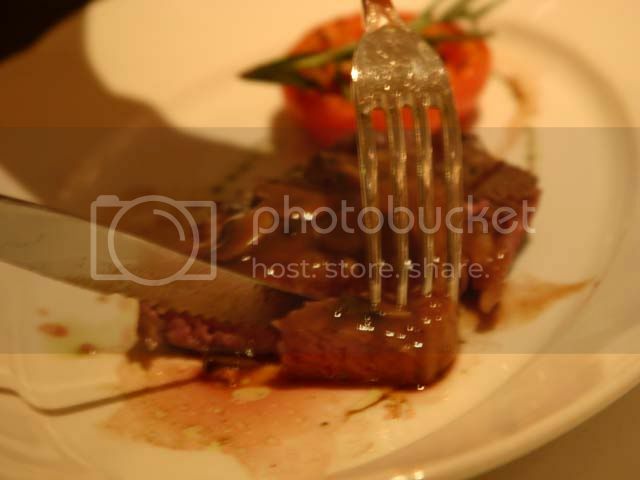 Sister's steak came out looking very nice, and was undoubtedly juicily meaty. She said it was also full of rosemary flavour, but I'll have to take her word for it. Looking at her tuck enthusiastically into it though, it really did look most appetising. Especially with a generous portion of mushroom sauce. Usually lamb would cost, max, $35, so I really expected something good. Thankfully, I wasn't disappointed (4.5/5). 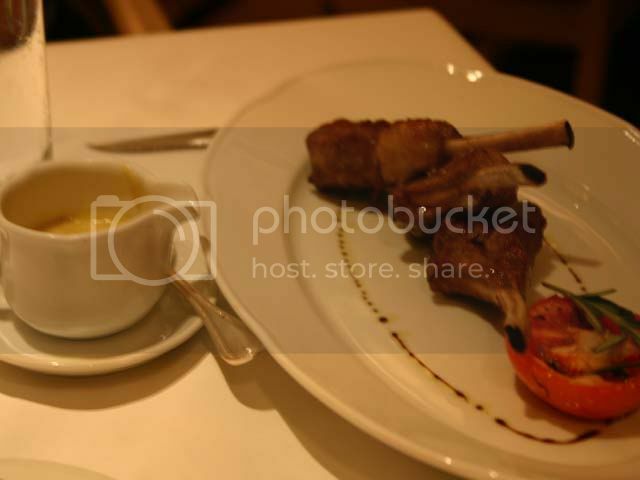 The lamb was amazingly succulent, tender and had a robust flavour without being gamey. The bearnaise sauce was a good match; the tang of the tarragon vinegar complementing the lamb very nicely. I was surprised by the colour of the sauce at first, until I discovered their cunning trick of adding some Dijon mustard to give it a little extra kick. 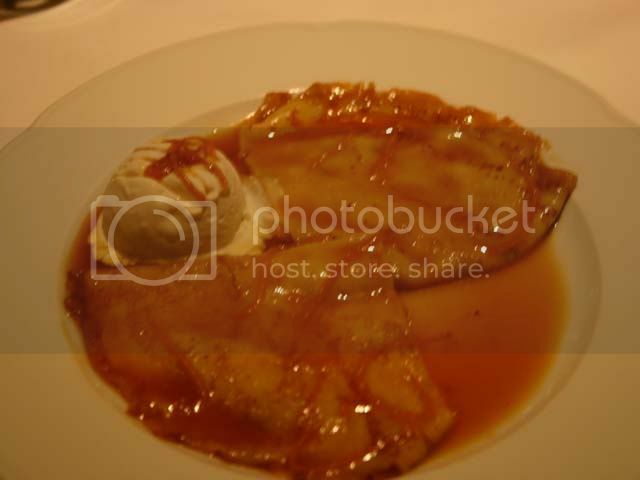 Last came dessert, which was a crepe suzette that we shared. Again, at $14, pricey, but it's worth it to see the waiter prepare it right by your table. It's very dramatic really, flames everywhere and his intense look of concentration as he makes sure the crepes come out just right. They did come out right though (4/5), the orange syrup was very rich and the alcohol had flamed off nicely, but I thought it could have done with a little more ice cream. So in the end, was the meal worth overcoming my innate discount culture and forking over the extra money for accoutrements that were not, gastronomically speaking, part of the meal? Even though some items were a bit overpriced, even for the general price level, I'd say on the whole, it was worth the bill. Indulgences like this though, should be on a very remote basis, for a very special occasion, else it loses its lustre. Overall: A worthy splurge, for special occasions.